The second season of MTV's Jersey Shore reboot, Jersey Shore: Family Vacation Part 2, has a premiere date, and the episode will feature the show's cast members taking a trip to Atlantic City. 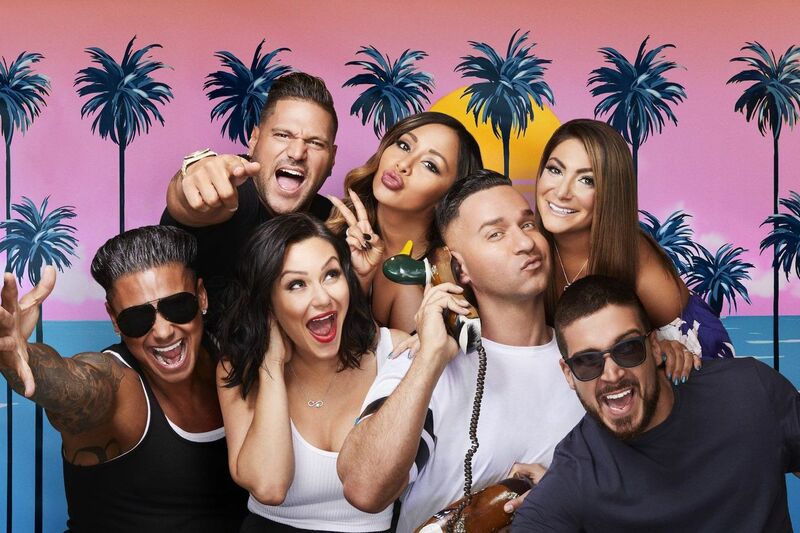 Premiering next month, the new Jersey Shore season opens in Las Vegas before housemates Deena Nicole Cortese, Paul "Pauly D" Delvecchio," Jenni "JWoww" Farley, Vinny Guadagnino, Ronnie Ortiz-Magro, Nicole "Snooki" Polizzi and Mike "The Situation" Sorrentino head to Atlantic City. The housemates' get-together is "more fist-pumping and grand antics" before the cast's "personal lives spill out into the tabloids and on social media," which forces them to "confront a variety of issues." Earlier this year, Ortiz-Magro and his girlfriend, Jen Harley, got into a physical altercation at a Las Vegas hotel. Harley was arrested for domestic battery after allegedly punching Ortiz-Magro in the face and dragging him with her car. The case was dismissed earlier this month "due to insufficient evidence," Us Weekly reports. Sorrentino, meanwhile, pleaded guilty to tax -evasion charges earlier this year. He is scheduled to be sentenced this fall. The Jersey Shore cast's appearance in Atlantic City was reported earlier this month, when the Atlantic City Press confirmed that the group would be doing a shoot in town. That appearance, however, came on the heels of a rumor that Jersey Shore would be filming in Wildwood, which caused an uproar among residents and local officials. 495 Productions, which produces Jersey Shore: Family Vacation, was not issued a permit to film in Wildwood, Mayor Ernie Troiano Jr. told the Inquirer, and told officials that they "would never go into a community where we're not invited." The rumored move to Wildwood came after Jersey Shore: Family Vacation was denied a permit to film a second season in Seaside Heights, where four seasons of the original series were filmed. Jersey Shore: Family Vacation Part 2 is the followup to the cast reunion earlier this year. The series is a reboot of the original Jersey Shore, which was launched on MTV in 2009. Since then, the show has been condemned by New Jersey officials, with even then-Governor Chris Christie called the show "negative for New Jersey" as far back as 2010. Last year, Seaside Heights Mayor Anthony Vaz told Shorebeat that the show attracts "the wrong type of clientele." Jersey Shore: Family Vacation Part 2 premieres Aug. 23 at 8 p.m. on MTV with a two-hour episode.